Digital Audio Tape or simply put, DAT, is a signal recording and playback standard medium. DAT was developed by Sony and introduced in 1987. Digital Audio Tape has become the standard recording and archiving technology in professional recording environments for master recordings. The technology is based on video recorders and the 4 mm tape and also the rotary head configuration is closely similar to 8 mm from Sony. DAT Standard allows the recordings at 32KHz @ 12 bits (LP Mode) on 2 tracks and 32 KHz @ 16 bits in 2 or 4 track mode, and 44,1 or 48 KHz @ 16 bits in 2 track mode but only enforces that a machine should record on 16 bits at 48Khz and playback at 44,1 & 48KHz. In the same way as all format of videocassette, a Digital Audio Tape cassette can be recorded and played in just one direction. 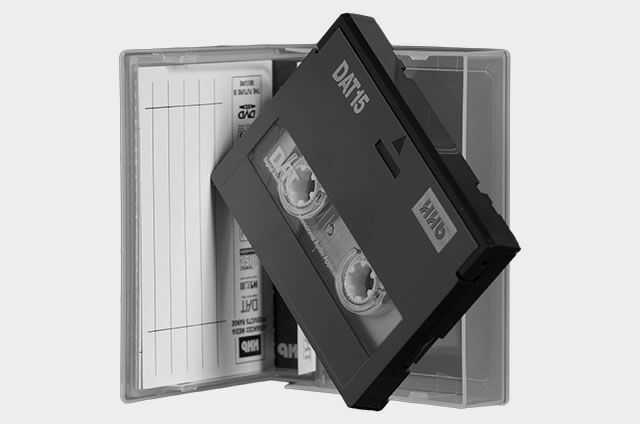 DAT tapes or cassettes can be found in a length between 15 and 180 minutes, digital audio tapes longer than 6o meters / 120 minutes tending to be problematic in DAT recorders due to the thinner media. was added in our Music Production Glossary Database on August 5, 2012 and it has received till now 523 views. The article tries to bring you an idea of what is "Digital Audio Tape (DAT)", or at least, a definition of the term: "Digital Audio Tape (DAT)".